Artster Oklahoma is on Display February 21- May 18, 2019 in the Tulsa World | Lorton Family Gallery. 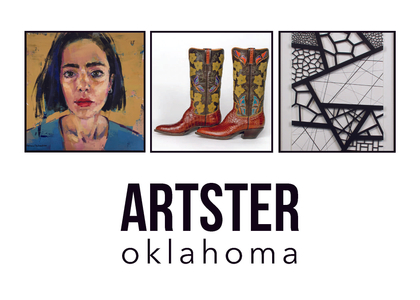 Artster Oklahoma is a collaborative project showcasing artists in Oklahoma. You don't want to miss this amazing exhibit! 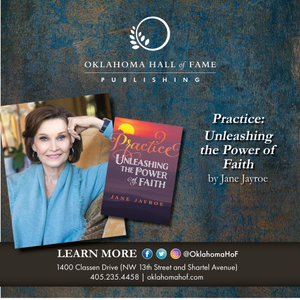 An award-winning author, media personality, and former Miss America, Jayroe’s Practice: Unleashing the Power of Faith is a thoughtful and insightful look into devotional time and the power faith has in each of our lives. Order directly here. See more pictures from an amazing night here! Thank you for celebrating Oklahoma's Highest Honor with us! Beginning this fall we are adding specialized tours to our offerings! Click HERE to learn about our four specialized tours! 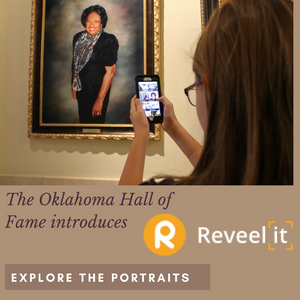 On your next visit, connect to our FREE wi-fi connection, use your smartphone to go to the website www.reveel.it, scan any portrait and you will be connected to biographies, photos and other multi-media links so you can learn more about these amazing Oklahomans! Learn how it works HERE! 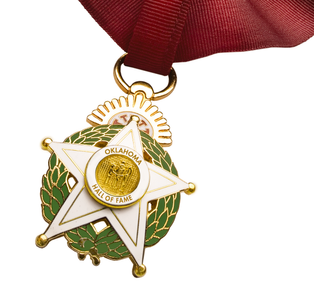 Your gifts to the Oklahoma Hall of Fame make a difference throughout the state. 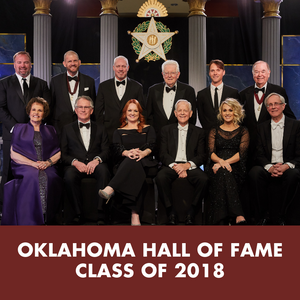 Learn more HERE about becoming a Friend of the Medallion and joining fellow Oklahomans in supporting the mission of the Oklahoma Hall of Fame! FREE FIELD TRIPS for Students Statewide! 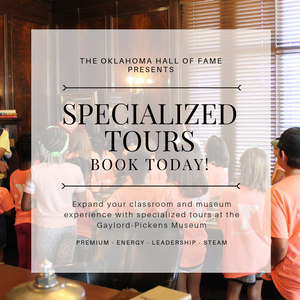 The Free Field Trip program includes themed Museum tours geared towards your choice of elementary or high school aged students and educator's choice of a free Chic-fil-A lunch for each student or a fuel stipend to help with transportation costs. Learn more HERE! Book Your Wedding or Special Event HERE! 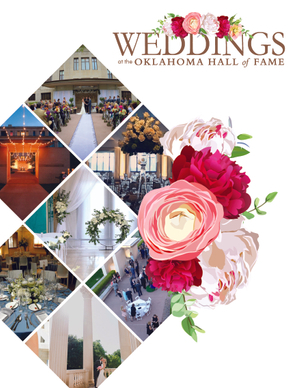 If you are looking for a unique place to hold a wedding, party, or business meeting; the historic Oklahoma Hall of Fame and Gaylord-Pickens Museum has beautiful, functional, and tax deductible space available. Click HERE to download our Wedding Packet, or email Lacey here to check date availability! Picture Yourself in the Oklahoma Hall of Fame! The EXPERIENCES in our Picture Yourself gallery transforms visitors as they step into life-size, gilded frames and the contributions of the members of the Oklahoma Hall of Fame. EXPERIENCES include In the Cockpit, Energy and Superstar Spotlight! VISIT today! 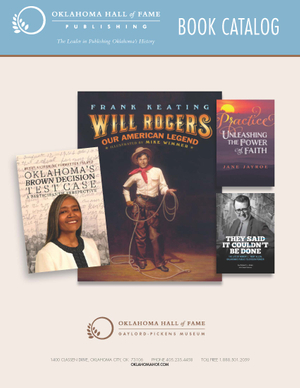 All available Oklahoma Hall of Fame Publishing titles are available for retail and wholesale purchase HERE! Download our Book Catalog and order today! Both groups had a really good time and have already asked to go back sometime. Thank you and the staff for not only entertaining and educating the kids, but for showing such patience and kindness towards them. We all had a really nice time! See the impact of Oklahoma Hall of Fame Scholarships! Happy #EasterSunday, everyone! Here's your Oklahoma Hall of Fame-themed Easter history lesson. Reverend Anthony Mark Wallock (OHOF Class of 1939) first came to Oklahoma as a pastor in 1915. Over the following 10 years, Wallock moved from Wakita to Crescent before settling in Lawton as the pastor of the First Congregational Church in 1924. In 1926, Wallock began Easter sunrise services in the Holy City of The Wichitas — a historic event that grew rapidly every year, even following Wallock's passing in 1948. Happy #EasterSunday! We'd like to give a shout-out to the great Reverend Anthony Mark Wallock (OHOF Class of 1939). He was the originator of Easter sunrise services in the Wichita Mountains in 1926. This historic event has grown every year, even following Wallock's passing in 1948.